Evidence at the scene near the Southside Softball Complex leads investigators to believe the remains are that of an adult male in Jonesboro. LITTLE ROCK, Ark. (KTHV) - On Wednesday, November 7, 2018 officers with the Jonesboro Police Department received a call that subjects had located what they believe to be human remains. 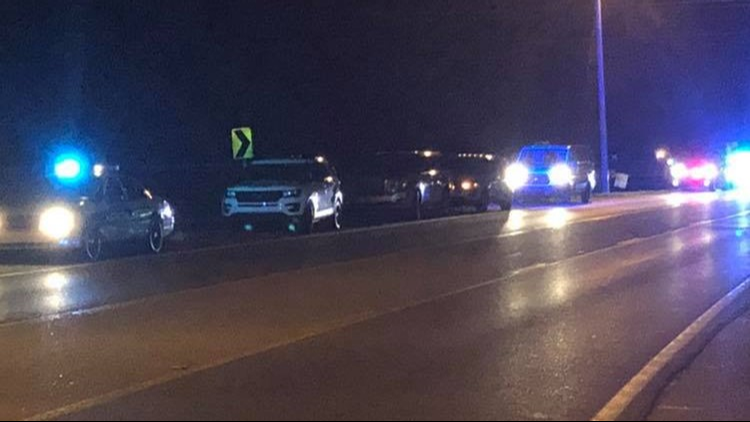 At approximately 7:20 p.m. officers were called to a wooded area south of Interstate 555 close to the Southside Softball Complex, which is located at 5003 Stadium Boulevard. Once there, officers were directed to the remains by witnesses. Detectives were called to the scene as well and are investigating the discovery. Although there is nothing definitive at this time, evidence at the scene leads investigators to believe the remains are that of an adult male. The remains appear to have been there for an extended period. Items at the scene suggest the person may have been a transient. This is a large scene and complicated because of the time frame. Investigators are currently processing the scene for evidence and will work to follow all investigative leads. Information is limited at this time and detectives ask that if anyone has information regarding this incident to please call the Jonesboro Police Department at (870) 935-5657 or, if you wish to remain anonymous call Crimestoppers at 870-935-STOP.